John Fisher is the Owner. He has several years of experience and has the following certifications from the IICRC: Water Damage Restoration, Applied Structural Drying, Fire and Smoke Restoration, Odor Control and Health and Safety. He is also certified in Restorative Drying, Crime and Trauma Scene Bio-Recovery, Mold Remediation and Contents Processing and Pack Out. He is also Lead RRP certified and has completed the Successful Subrogation I Course from the Claims Training Service. Scott Gainey is the Production Manager. He has several years of experience and has the following certifications from the IICRC: Water Damage Restoration, Applied Microbial Remediation, Fire and Smoke Restoration, Odor Control and Applied Structural Drying. 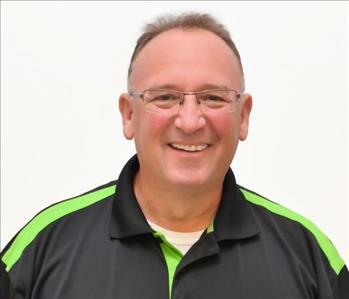 He has also received the following certifications from the SERVPRO Employee Certification Program: Crew Training, Water Certification and Carpet and Upholstery Certification. He is also Lead RRP certified and has completed the Successful Subrogation I Course from the Claims Training Service. 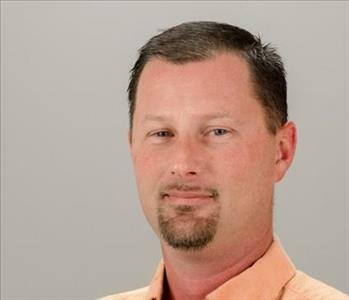 Jason Harris is the Commercial Business Development Representative. He has several years of experience and has the following certifications from the IICRC: Water Damage Restoration and Applied Structural Drying. He has also completed the Successful Subrogation I Course from the Claims Training Service. 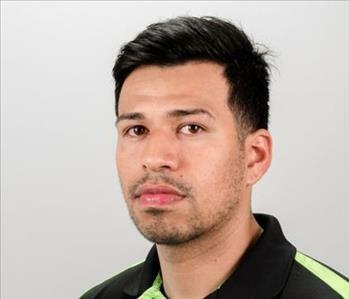 Javier Arguelles is a Production Technician here at SERVPRO of South Cabarrus County. He previously worked for Enpuricon, Inc. as a Lead Asbestos Technician which is what lead him to SERVPRO. 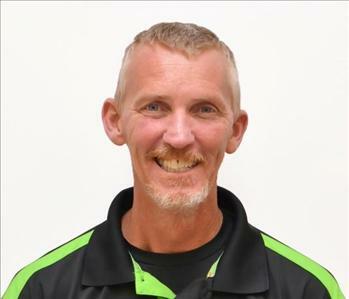 He is now serving this great community and has received the following certifications from the SERVPRO Employee Certification Program: Crew Training and Water Certification. Elaine Marlowe is our Business Development Representative. Elaine has several years of Office Management and Customer Relationship experience. She is OSHA Certified and is currently working towards several certifications. 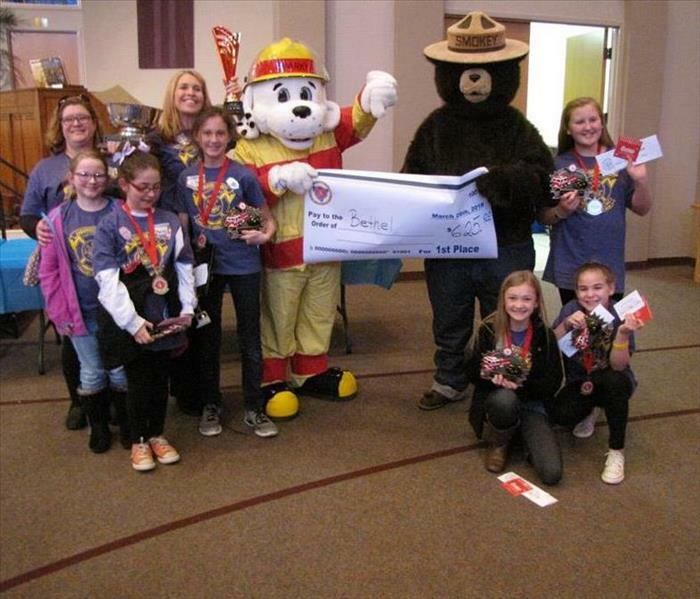 She is experianced in Fire and Water Loss and works daily with Insurance Agents and Local Fire Departments. Elaine is an active member in the community and serves on several boards. She is a member of the Cabarrus County Chamber, Cabarrus Visitors Bureau, LINK, Cabarrus Network Group, Cabarrus Safe Kids, North Carolina Fire & Life Safety Committee, Vice Chair of Cabarrus Fire & Life Safety Bowl, Central Cabarrus High School FFA & Hunters Safety Board and active volunteer for The American Red Cross and United Way Cabarrus. 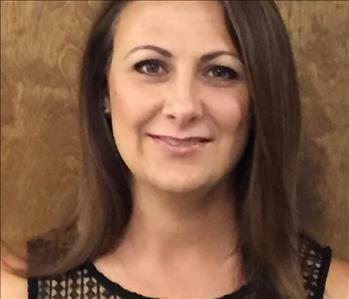 Joyce Andrews is the Administrative Assistant here at SERVPRO of South Cabarrus County. Joyce is no newbie to the Water loss industry as she worked in the Plumbing Industry for years before joining the team at SERVPRO in 2014. If you call our office with a loss of any kind, chances are Joyce will be the person on the other end to help guide you through the process and relieve you from the pressure during the loss experience. She is the "Glue" that holds our operation here at SERVPRO of South Cabarrus County together and will be glad to help you hold it together during the Clean Up and Restoration of what is important to you. Melissa Aguila of SERVPRO of South Cabarrus County since 2016. Melissa served as a Production Technician experienced in Fire and Water Loss. When Melissa is in your home you will feel reassured that she is there to help take care of you during this time of loss. She always has a smile and is available to help you answer any question you may have about this process. Late in the year of 2017 Melissa decided to return to school to major in Business. She now works part time in our facility as a Administrative Assistant while learning more behind the scenes in our office. Daily operations here at SERVPRO will help heighten her major and her career. 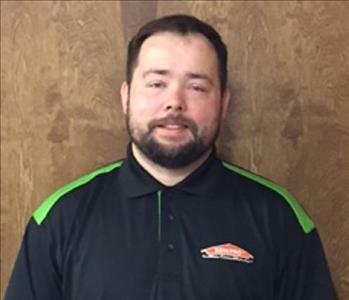 Jesse James Jones is or newest employees here at SERVPRO of South Cabarrus County. Jesse is the Assistant Production Manager and Supervisor to Crew Chiefs here at SERVPRO. He is helping us start off 2018 strong. Jesse may be new to our location but he is no newbie to the Field. Jesse has been taking care of customer's needs in the Construction and Fire and Water Clean Up and Restoration Industry for almost four years. He has worked as a production technician and crew chief. Jesse has completed and is certified in ICRC Water Restoration and has received his Water and Fire Certifications.